. . . look at your feet and see where they are pointed. I don't know who Joe Bechtel is/was but I saw the above quote just this morning. 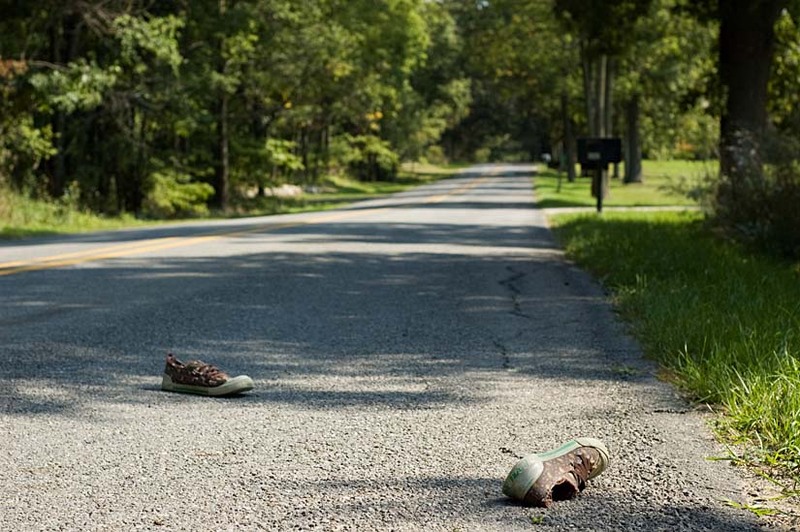 The shoes, I saw while driving home for lunch. On my way back to work, I took the camera and this photo. After dinner, I remembered the photo. While discussing title possibilities with The Wife, I remembered the quote.